Smart Aluminium Tube is an innovative packaging solution which can transform a simple aluminium tube into a 2.0 communication tool. A revolution possible thanks to integration with StealthCode® technology. An innovation that changes the communication of pharmaceutical products and involves everyone: users, doctors, pharmacists and, last but not least, pharmaceutical representatives. A revolution that makes the tube a powerful anti-counterfeiting tool, as well as a spokesperson for the pharmaceutical company always handy. StealthCode® technology is based on Digimarc Barcode®; it has been developed and belongs to the Italian company BeeGraphic. 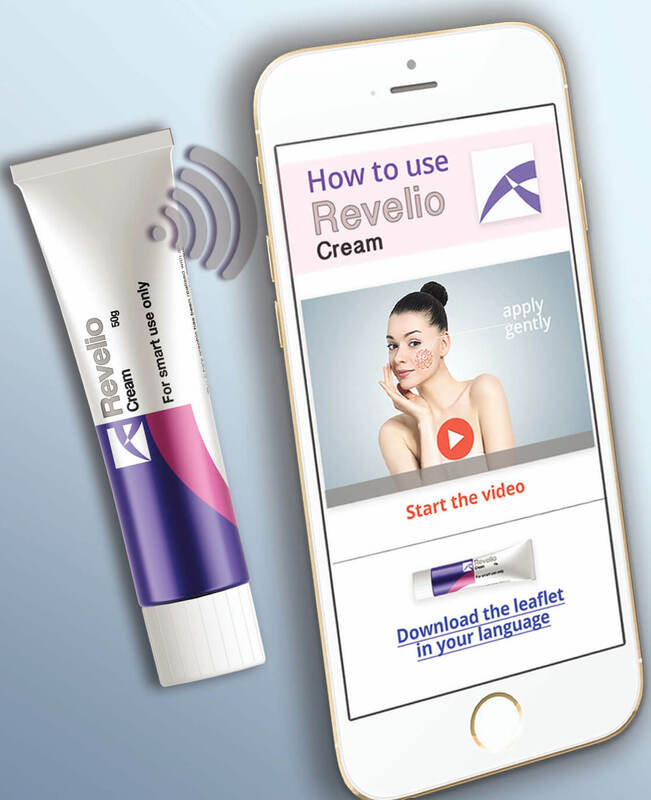 The code printed all over the tube surface is invisible to human eye and detectable with an appropriate mobile application. The user just scanning any part of the tube with StealthCode® app (available in the official Google and Apple stores) will activate an online link to an official content approved by the pharmaceutical company and connected with the drug. A pdf with a package leaflet translated in all languages, an explanatory video on how to apply the drug, an interview with a doctor explaining the pathology treated. In the pharmaceutical branch, counterfeiting is not only linked to the spread of counterfeit drugs, but often involves the circulation of counterfeit news, fake news, on the drugs themselves, on the side effects, on the treated diseases. Real hoaxes that are often difficult to replicate. The statistics also confirm that online research on health and wellbeing is constantly growing, often nullifying the informative work of doctors and pharmacists and their prescriptions in terms of dosage, methods of use, possible interactions between drugs. The StealthCode® technology implemented in Smart Aluminiun Tube helps to overcome this gap, because it offers us an intelligent tube, able to speak on behalf of the drug itself and by extension of the pharmaceutical company that produces it. Thanks to new digital technologies, the aluminium tube ceases to be a mere commodity, and becomes an essential part in the choice of a drug. More recognizable by the user, easier to use, easier to prescribe for doctors and pharmacists, safer in terms of counterfeiting. It allows the pharmaceutical company to combine contents perceived as official and therefore reliable by users. Unlike the QRcode it is easy to use even on curved or reduced surfaces. The code is unique and non-duplicable, protected by sophisticated computer security systems to further guarantee anti-counterfeiting. Being invisible, it offers greater freedom of design and remains legible even when the tube is squeezed. Facilitates the work of pharmaceutical representatives, doctors and pharmacists who will have a new form of communication. Are you interested in the Smart Aluminium Tube?